David Allen is a Certified Spinning instructor. 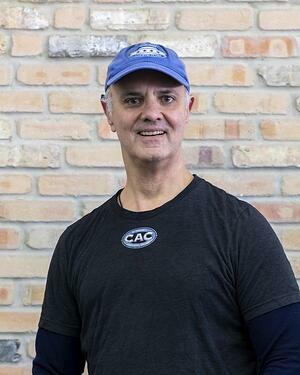 He has been hooked on Spinning classes since 2001, when he trained for the Hilly Hundred Century bike ride in Bloomington, Indiana, and successfully navigated every hill in that grueling ride. He has been a Certified Spinning instructor since 2005 and joined the Chicago Athletic Clubs in 2006. Besides the Hilly Hundred, he has ridden in the Northshore Century bike ride and Bike the Drive. In teaching his classes, David focuses on offering his students a ride that is both fun and challenging.